1. Lake Powell was created by Glen Canyon Dam which took ten years to build. Started in 1956 the project was done in 1966. 2. 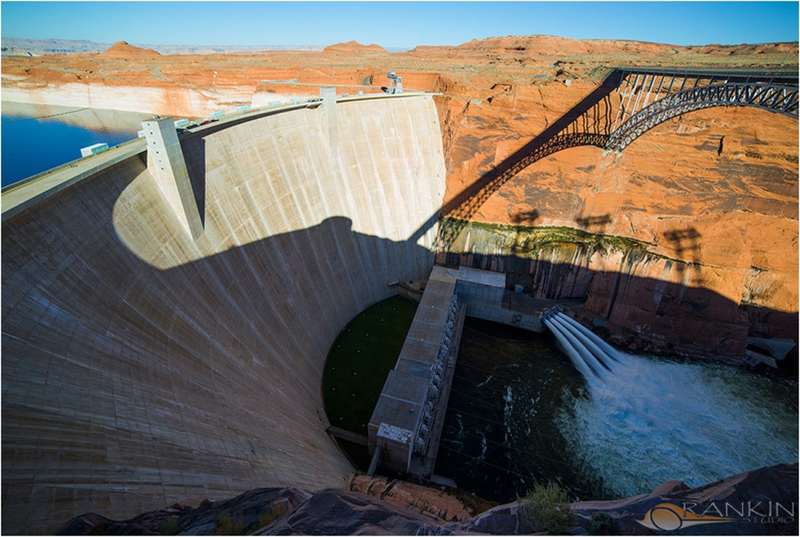 When Lake Powell is at full pool it is 560 feet deep at Glen Canyon Dam. 3. When full the lake stretches back 186 miles up the Colorado River channel. 4. Lake Powell has 96 major side canyons. 5. When full Lake Powell has almost 2000 miles of shoreline, about the same as the west coast of the United States! 6. 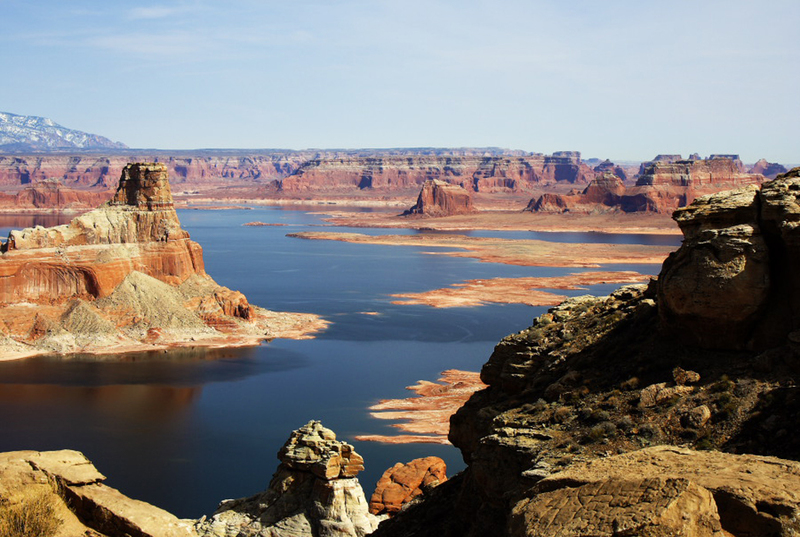 Lake Powell has four major water sources: The Colorado River, The Dirty Devil River, The Escalante River, and The San Juan. 7. 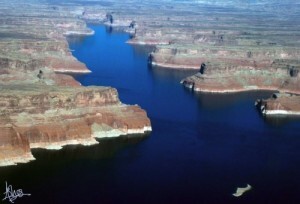 The water in Lake Powell comes from the snow melt during spring run off and drains an area about 10,000 square miles. 8. Lake Powell water levels rise from the end of April to right around July 4th. The rest of the year, for the most part, the water level falls. 10. Glen Canyon Dam and Lake Powell were built primarily for water storage for the west. Recreation and power generation are huge additional benefits.